The Mac makes an alert sound when certain dialog boxes, errors, and other user interactions are encountered in OS X. 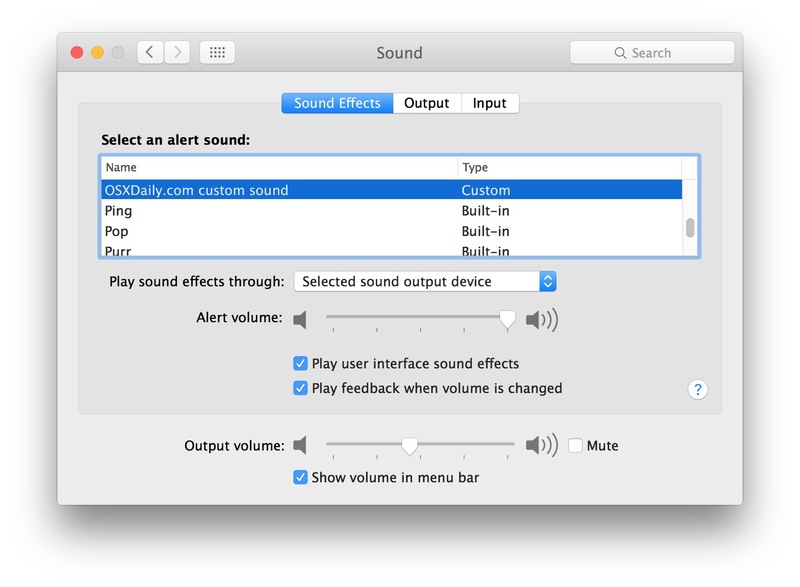 Most Mac users likely know that you can change the alert sound to one of your choice by going to the Sound preference panel in OS X, but did you know you can easily make a custom alert sound for the Mac as well? That’s what we’re going to demonstrate here, it’s a simple way to customize the Mac experience and doesn’t require any additional software downloads. 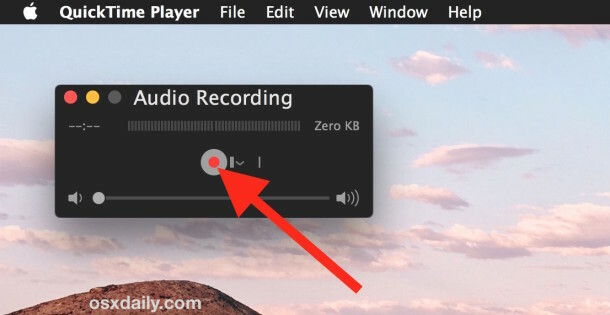 We’re going to use the ability to record sound with QuickTime to capture an audio clip recorded from the microphone (or you can record system audio with SoundFlower), trim it down to size, then save it as a compatible system audio file for use with mac OS X. It’s easier than it sounds, follow along. 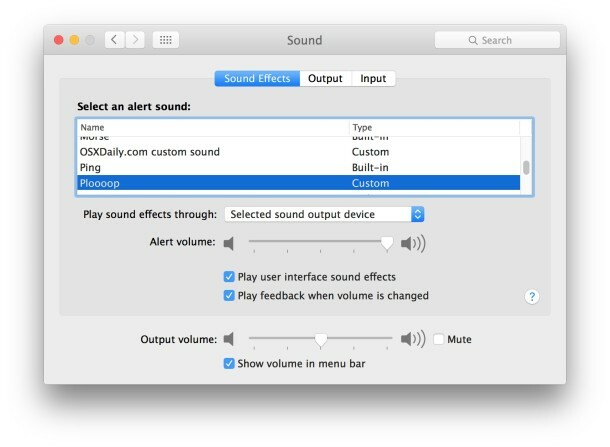 Now your freshly made custom alert sound will play as the system alert sound in Mac OS X, offering a fun and easy way to personalize the Mac experience a bit. Another neat trick is to create a silent alert sound using the QuickTime method (just record a second of silence and trim it to virtually nothing) and set the screen to flash with an alert, which instead offers a silent but obvious visual option for users who would rather not have a system alert but don’t want to go all out and mute their Mac. If you’re not into recording your own alert sound, you can get a blast from the past and try out the retro Macintosh System 7 sound effects instead, or add any other .aiff or .aifc file to the user Sounds folder to have them accessible as well. 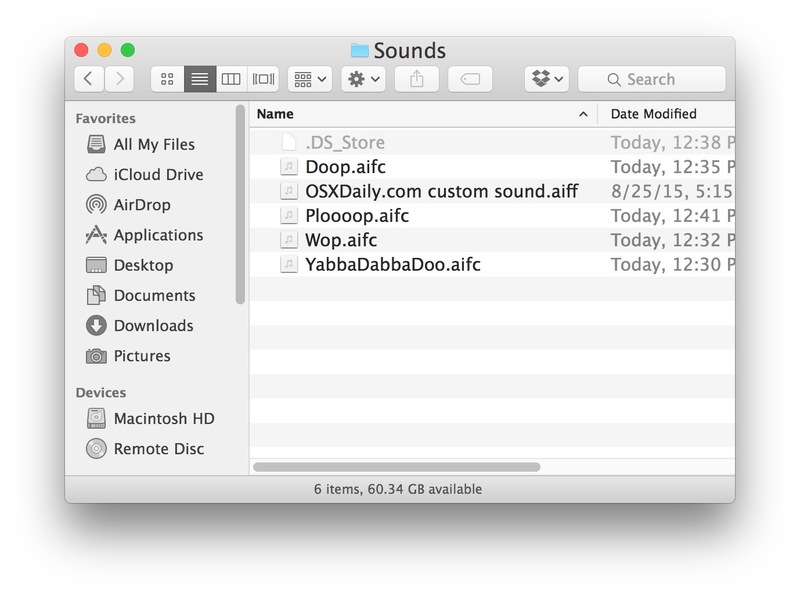 You can access the ~/Library/Sounds/ folder from the Finder in OS X easily with Go To Folder, and it’s also how you can delete or remove the system alert sound(s) you made. 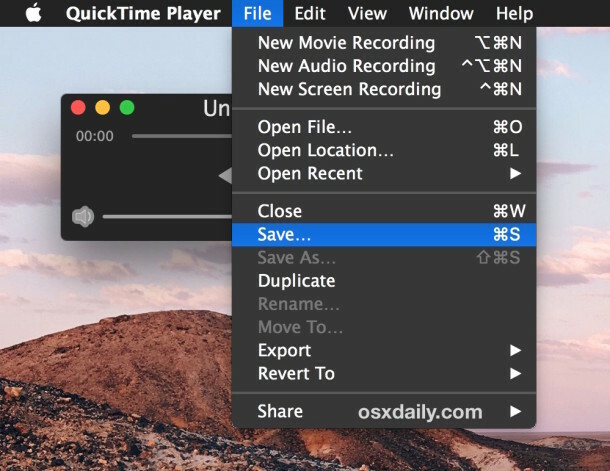 As you can see, QuickTime Player is quite versatile, and it’s really one of the unsung apps bundled in Mac OS X that is so much more than a simple video player. 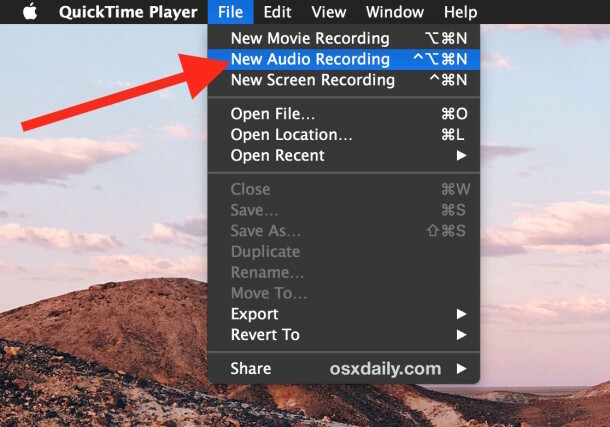 From recording audio clips from the microphone or a sound input as covered here, to recording the Mac screen and recording video of an iPhone screen or iPad screens, QuickTime is more powerful than you may think. I cannot get permissions to drop the sound file into that folder. even when I add my password and change permissions under get info. This is great. I used my dog barking as the sound. Like woof but more realistic. Thanks. This is my problem also. Also I find the Built In alerts in the Mac HD > system/library/sounds folder (where I want to store mine) but they are all .aiff not aifc??? Just use an online m4a-aiff converter. aiff files work fine on 10.11. Great post Paul thanks for this. Do you know if there is anything similar which can be applied to an Ipad? You can use the GarageBand app on your iPad to record and save a custom sound and then export it as a ringtone. They are .aif audio files. Be sure to back up your Mac beforehand if you attempt to adjust them, as you could mess something up with CoreAudio. Perhaps in a future article we’ll cover how to change these? You can also use Garage Band which I’ve done to import some tunes clips that I trimmed. I did everything as spelled out in the directions but when I went to Sound Effects my saved sound file was not there. Help. Many thanks for your assistance. Are you sure the file is in aiff or aifc format? If not, you should use an online converter to convert the file into aiff or aifc. Both formats work fine. Can i change the sound of an ical notification (frog fart) when it pops up on the home screen? Worked, and it’s in the sound effect pane. Is there a way to move that file into the options for mail notification on Sierra? There is an other way. 1)Use Your favorite way to create trimmed ( I do not know what is the maximum file size, just use common sense) mp3 or any other format that can be read by iTunes. Actually system will see also m4a or m4r files but some applications like Mail will not play them unless the name is changed to aifc.